Oh, Christmas tree, oh, Christmas tree, how lovely are your branches.... So maybe this quilt won't sing for you, but it may inspire some Christmas music in you as you make it, not to mention in your friends and family who will love it. It looks great and is pretty easy to make. 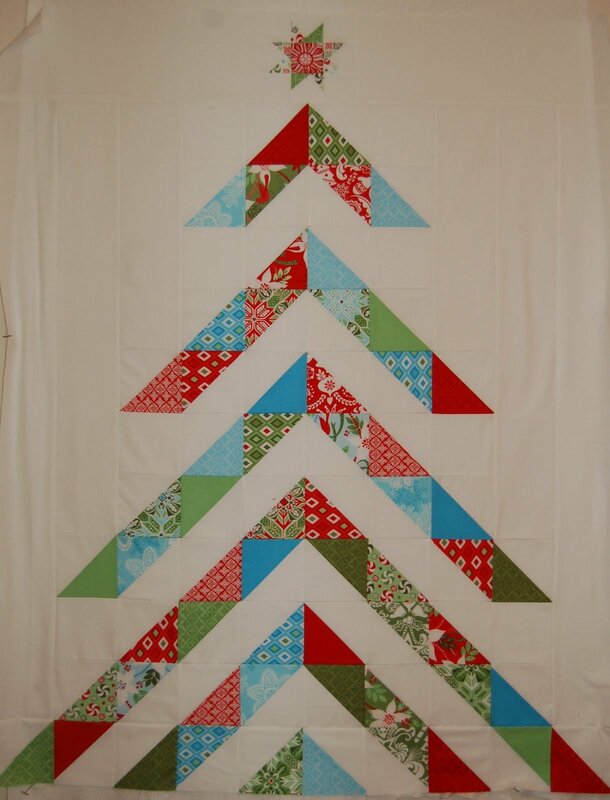 Create this festive Christmas tree quilt using a charm pack which you will turn into half-square triangles. The Moda tutorial is complete with photos and easy-to-follow instructions. "Hi, I’m Amy! Also known to some as Alliekatmom. I want to share with you this half square triangle (HST) Christmas Tree quilt, made with Kate Spain’s new line Flurry. This quilt is much easier to make than it looks. It goes together quickly and accurately. I hope you love it as much as I do."